I think we’ve chatted about this on the blog before, but sometimes us foodies (aka. nickname for food bloggers out there), just don’t have the time or creative energy to make a huge dynamic & showy meal, well that’s where these quick and easy ones come in. Below is a quick (maybe 5-10 mins to make) pasta that’s healthy, light and full of protein. 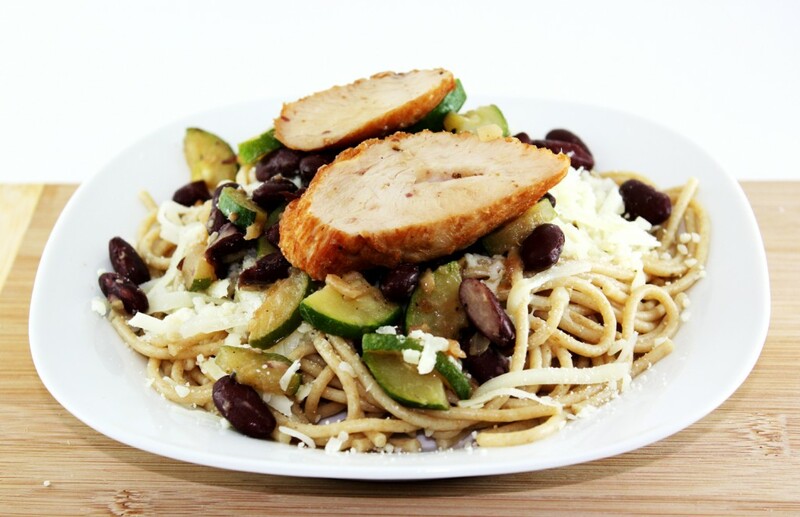 Boil the pasta, then top with the zucchini, onions, cheese, beans and any extra sauce that you’d like! Quick, easy and packed with protein from the chicken and the beans to give you energy to go!